View the American Celebration on Parade photo album. 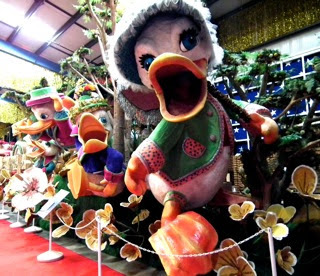 In 2000, Mr. Earl C. Hargrove opened American Celebration on Parade in a separate 40,000 square foot building which houses parade floats, props and sets reflecting the Hargrove company's history of involvement with major national celebrations. 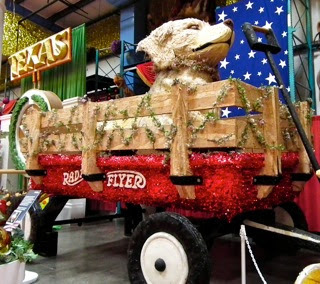 Parade floats are designed to outdo all else. Huge, garish, over-decorative and colorful, they work at catching your eye as they slowly pass by. Imagine seeing many of these floats all in one building where they won't be passing you by so quickly. 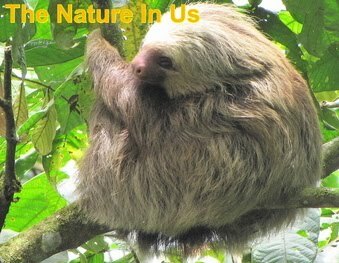 You have time to study them and be utterly amazed at the size. This place was a dream-come-true for Earl Hargrove Jr, who ran a company that has staged trade shows, conventions, and every presidential inaugural since 1949, starting with the President Harry S. Truman's inauguration. For years he stored his favorite ones and pieces of many others. His wife threatened to throw him out of the house because he stored so much in the basement. When Earl bought the Shenandoah Caverns nearby he had the idea of eventually building something to hold his collection. That's how the 40,000 square foot building came to be, but before you think it a huge place to store favored relics, consider that Hargrove has a 6-1/2 acre former Volkswagon parts warehouse in Maryland that is packed with more. Hargrove isn't only an obsessed collector, but a shrewd businessman that redesigned the floats he liked for profit. You'll notice that in some of the information on each of the pictures. Now in his 80's, his daughter, Carla Hargrove McGill owns Hargrove Inc.